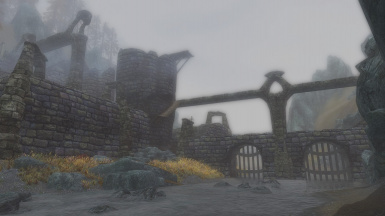 Valtheim Keep is a natural chokepoint between two major holds who are currently at war, and should really be much better defended. Now it is. If you've contacted me through Nexus for permission, and I have not responded within a week, you can assume you have permission. I have that restriction for quality control, not to make my work unusable if I decide to disappear. /u/TRAWZ, /u/Valyn_Kt, /u/RolandTEC from /r/skyrimmods for submitting screenshots - you guys are great! Generalized the controller system, because I need something similar for a mod I'm working on and prefer to reuse scripts since I'm lazy. New controller system can be used by other mods via the magic of injected records. Will split off that system to include with Radiant Exclusions. Implement Radiant Exclusions support, since I've been saying I should do that since I made the mod. Fixed the Navmesh. Again. This is the third consecutive update to say that. Added dragon perches. So, uh, have fun with that. Fixed some patrol markers pointing to themselves. Now with OSHA compliance and guard rails on the bridge the bandits kept falling off. Fixed the thing that made the books illegible. Added a Requiem patch. I don't use Requiem regularly, let me know if I missed anything. Added an arcane enchanter near the player quarters. Rearranges the player quarters and added a painting. This time, the Navmeshes are actually fixed. Thank you Sacralletius. Fixed UDRs, removed ITMs, fixed Navmeshes. Valtheim Towers is not a particularly special place in vanilla Skyrim. You have two towers and a bridge, with just a sprinkle of bandits, one of whom will harass you for a toll and get the rest of the bandits killed for her trouble. But look at where Valtheim is, what it is. Valtheim is located right on top of the main road from Whiterun to Eastmarch, in the middle of a narrow valley between two mountains. 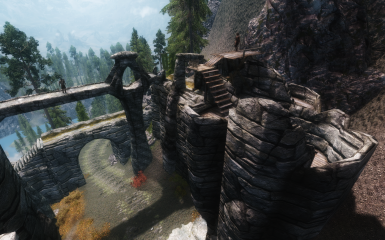 By all rights, a proper fortress where Valtheim is should be able to control the ability to travel from Whiterun to Eastmarch - and in the middle of a civil war, that control would be invaluable. 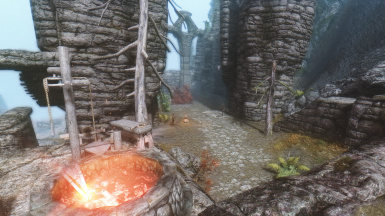 It always bothered me that vanilla Valtheim was so much less than what it could be - so I changed it. 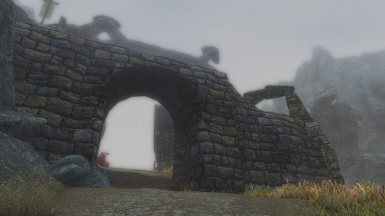 Walls and arches: the road now passes straight through Valtheim's walls. 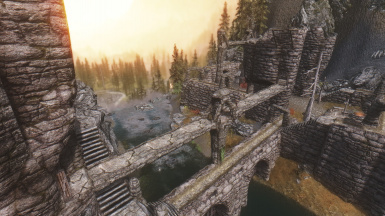 The river is walled off, as is going around the fort, leaving the only open path through Valtheim. Travelling through Valtheim now puts you right in a killbox, meaning that if you control the fort, you control the road. 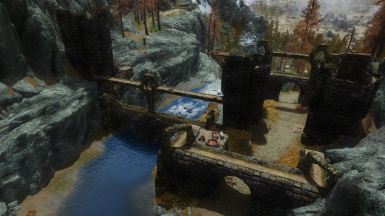 More towers, bridges, and overlooks: in essence, more spots to put archers, making Valtheim more dangerous. More people and patrols: Valtheim is a much bigger place. 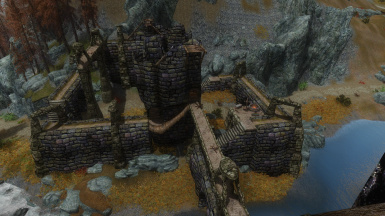 It would be ridiculous if I doubled the amount of Valtheim to guard and didn't double the number of guards and how much of the fortress they guard. There are now more bandits, and patrols that cover the entirety of the new fort. Garrison the fort with your allies: more on this in a moment. A unique enchanted tower shield: as a reward for clearing Valtheim, you can find the Shield of Valtheim in the fort. It's a fairly powerful shield, with a strong enchantment. To compensate for this, it's also hidden - I'm not just giving you a powerful artifact in exchange for one of the first bandit camps you see. There are other enchanted "weapons" lying around, but they're garbage, so don't bother looking for them. After you clear Valtheim, you can claim it for either Whiterun or the Stormcloaks. Since it's on the border between the two and should control access between the two holds, I thought it might be important to them to control it. 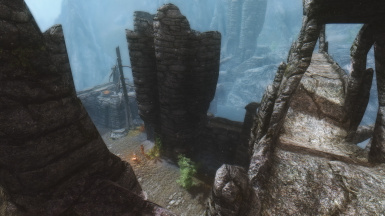 Claiming Valtheim Keep for either faction will result in Valtheim being garrisoned by that faction instead of bandits, will add a generic blacksmith by the new forge, and grant you access to the quarters at the top of the northern tower as a small player home with a minor gold reward. The quarters will be renovated post claiming the fort; please note that the quarters in the video are only the unupdated vanilla version. Despite being in the open, the quarters also have a heat source added so you won't freeze to death if you're using Frostfall. 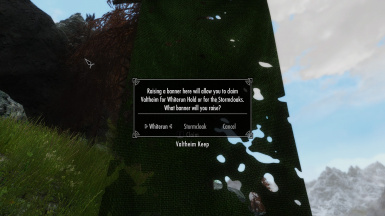 To claim Valtheim, simply clear Valtheim of enemies, find one of the four eye-level green banners, and activate it to raise the banner for the faction of your choice. It will intentionally take a few minutes before the keep switches over - this gives you time to loot the bodies and move away from the keep, since about a hundred things are going to either appear or disappear and it looks very jarring if you're there when the fort changes hands. Probably not compatible with anything that changes Valtheim. 3 guesses why. 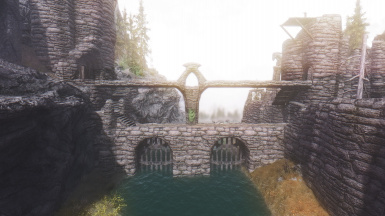 On the other hand, I don't know of any other mods that change Valtheim, so this probably isn't an issue. Apparently not compatible with Druid's Den. 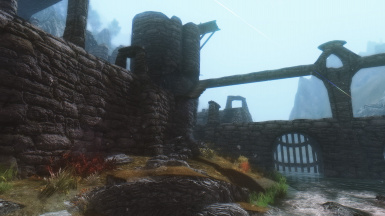 This mod has been integrated into Invasion of Skyrim, so don't use this mod alongside that one. Bad things will probably happen. There's now a Requiem patch. If you use Requiem and don't use the patch, then there will be bandits left over after you've claimed Valtheim and that will be your fault. There's a patch for Enhanced Landscapes. 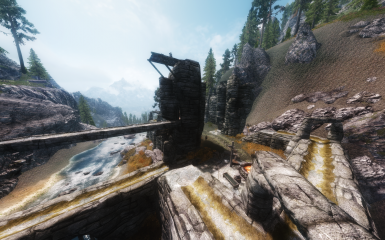 /u/TRAWZ, /u/Valyn_Kt, /u/RolandTEC from /r/skyrimmods for the screenshots - my laptop can't into graphics, and they were kind enough to provide the images I use for this mod. You guys are the best. Thanks to Hodilton for the video.